Ever wondered if you can download Tinder profile photos of the members you just visited? Fortunately this is actual possible, using a small hack, so swiping left will no longer be a problem. 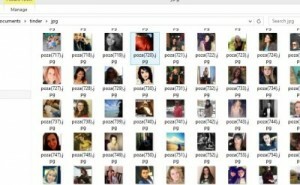 Now is the time to see how can the user profile pics be downloaded. You will need to have root on your phone. – Install Super SU (https://play.google.com/store/apps/details?id=eu.chainfire.supersu&hl=en). Warning this will void your phone’s warranty. 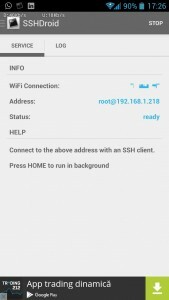 Start SSHDroid and make sure that is connected to a wifi connection and has a valid IP. See the screenshot below! Once the SCP session is open, go to the /data/data/com.tinder/cache/picasso-cache folder and download all the files with the “.1” extension in that folder. 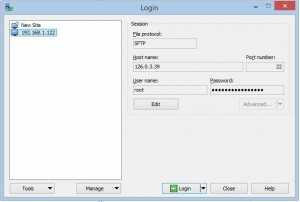 Hint: WinScp can sort by file extension or file size. Go to the local folder on your PC (where you downloaded the files). Hit the Windows+R keyboard combination, write cmd, hit OK. If this doesn’t work, go to http://www.howtogeek.com/111859/how-to-batch-rename-files-in-windows-4-ways-to-rename-multiple-files/ and check out those tutorials. The result ? Lots of jpg files. That’s it. Go to that folder and you should see all Tinder profile pics of the users who’s profile you visited. Posted in hacks. Tagged with download, hack, profile pics, tinder.